24-hour forecast: Cloudy at times today and tonight with a few showers mostly over central and southern areas of the country. General Outlook: For Friday and Friday night is for partly cloudy skies with only isolated showers developing. Today E-NE 10-20 kts Moderate-Rough 5-8 ft A FEW SHOWERS. 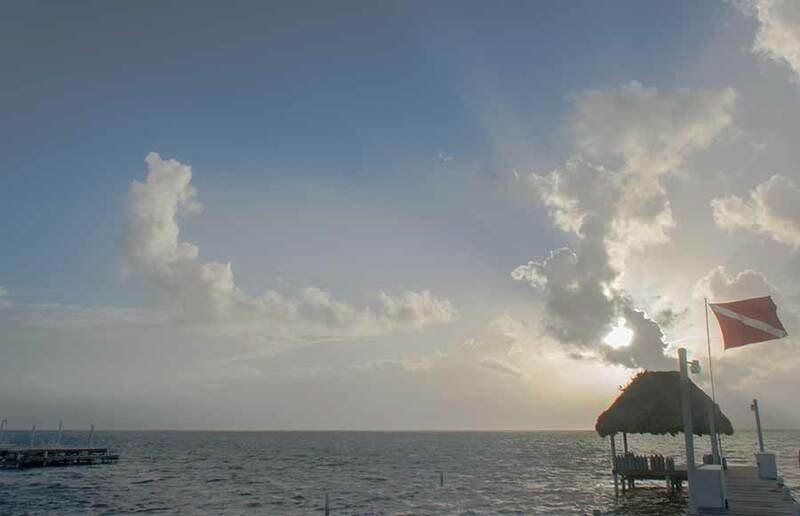 On Ambergris Caye this morning the wind is blowing from the E-SE at 15 to 20 mph. The sea around the Barrier Reef is rough . Advisories: *Small craft caution in effect for gusty winds and locally rough seas. * We won't be diving outside the Barrier this morning but hope for an afternoon dive if it calms down. 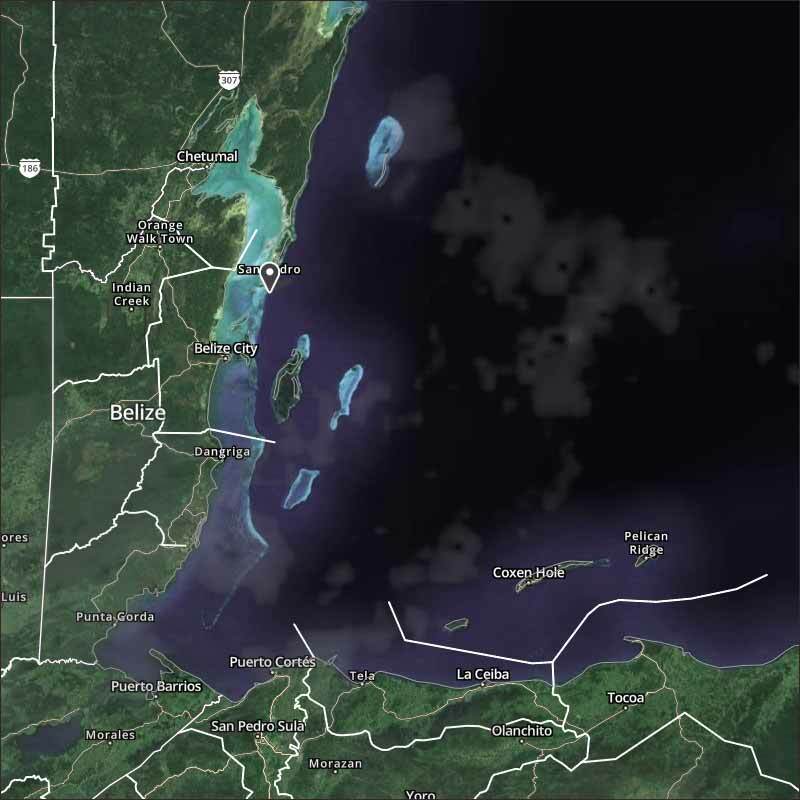 Our expected high today is 82 f.
Still more large areas of cloud out there one covering most of central, south Belize, another heading for north Belize, with some areas of heavy, high cloud causing rain. 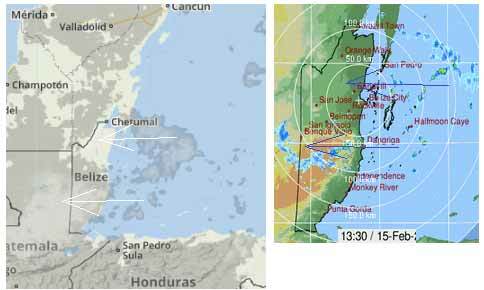 Looks like today will be much like the last few days, mainly cloudy, some sun, and high risk of rain showers.